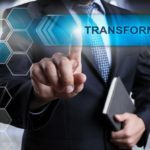 In the next few decades we are going to witness an exponential change in the world of technology that is going to dramatically change every aspect of the way we live. But while many people are very concerned about the new technological trends coming, very few have noted one factor that they bring to the marketplace. 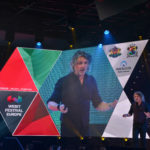 According to the Founder and Executive Director of Kellogg Innovation Network (KIN) Robert C. Wolcott each one of these trends push sensing, analytics and access to shared resources in more and more places in the economy and closer to us. That means that they push the production and provision of products and services ever closer to the moment at which they might be demanded. 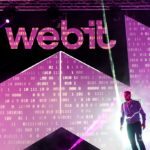 The Professor of Innovation and Entrepreneurship was among the 300 top level speakers at this years Webit.Festival Europe. 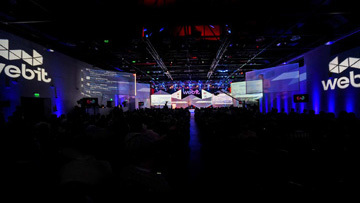 During his on stage presentation he shared some of his views about how technology will transform every industry in the 21st century. In his work in KIN he looks for two things – strategy and implications of technology and change for large corporation. Wolcott is working hard to figure out where the world might be going and how to get there, while as an angel investor he is thinking about the future with respect to startups and emerging companies. 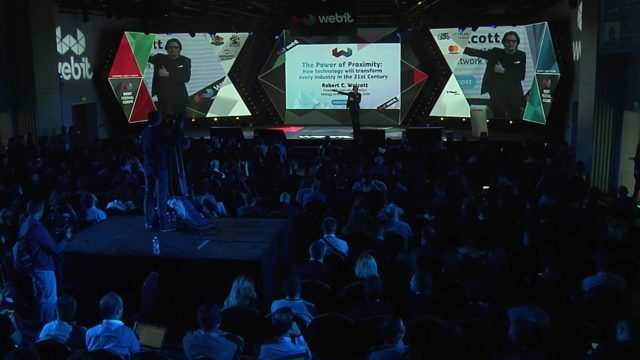 He pointed out Amazon as an example of company with vision about its future connection with the customers. For the past two years the retail giant is trying out something called anticipatory shipping. This means that they are watching your online behavior and send products to the distribution centers near you before you have even ordered the product. Wolcott is sure that with the development of 3D printing will bring a real long-term revolution in the global supply chain of manufacturing. Things will start from the peripheries, because the biggest threats and opportunities never come in the middle of a market. The big players in different fields already know everything about their markets, but the disruptions often comes in small ways and emerge over time. “For instance today 20% of plastic auto replacement parts cost more to ship than they do to manufacture. Do you think at some point in the next decade people will start to produce auto plastic replacement parts through 3D printing closer and closer to the moment at which it is demanded in time and space”, he asked. The expert noted that last year there were 250 000 taxi and limo drivers in the US. But some time in the next 20 years all these jobs will be completely eliminated. This is a big concern both for governments and corporations, because we need an opportunity for everyone to evolve to transition to this new world. Today we have a global supply chain optimized for scale manufacturing at a distance. This means that the larger the manufacturing facility is, the lower the cost. In the next 30 or 40 years this equation will completely change and this will transform our economy fundamentally. During an interview with Mr. Wolcott at the Frankfurt auto show last year, the CEO of Peugeot-Citroen Carlos Tavarez said that just 5 years ago no one seriously paid attention to the idea of self-driving cars. Today every major player in the industry is trying to figure out how to catch up with disruptors like Tesla. He predicted that if the trend continues with this speed after 20 years we will not argue whether we should let autonomous cars on the road, but if we should let human drivers. And we can easily tell who is going to be the winner of this argument. 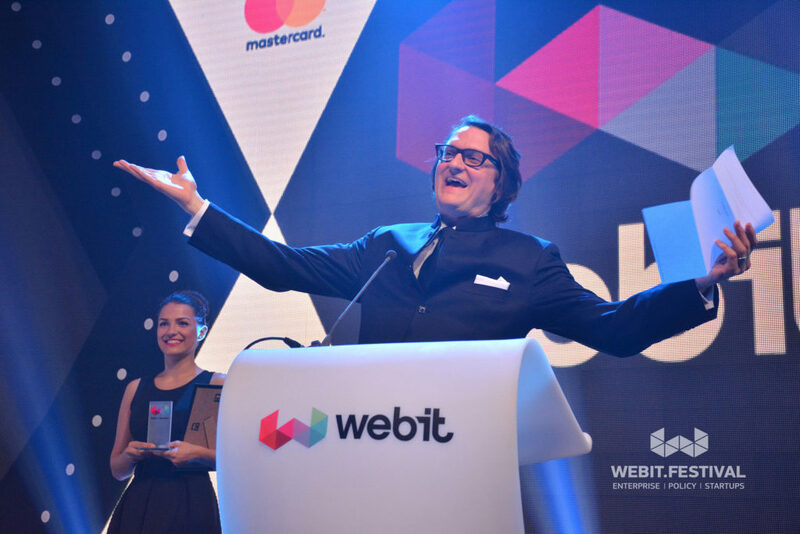 The Founder and Executive Director of Kellogg Innovation Network (KIN) presenting one of our Webit Awards. The technology is going to change even the metrics we use to measure the impact on the market. The normal family today usually needs at least two cars, but it may only need one vehicle in the future. For the entire history of the global automotive industry we have used unit sales as the one metric to show how successful a company is. All of the capital allocation, inventory management, marketing decisions and sales channels are focused around this metric. According to the professor if we don’t recognize that soon it will not work in the same way as today, the tyranny of metrics will bring us down. Because we will continue to make decision based on performance metric that used to work and at some point of the future won’t work anymore. The solution is creating a portfolio of metrics to measure how things are going so that companies know how they are doing in advance of things changing. “There is a light at the end of the tunnel. If our vehicles in the future are driving around a lot more we will have what is called higher asset utilization. Which means we will need more replacement parts and services. And guess what automakers make a lot more money on then selling a car – replacement parts and service”, he said. Wolcott thinks that enterprises should start asking themselves what are the client needs they can prototype today that gets them in the game for the future. They should also try to identify technologies and business models that are happening on the periphery and might add tons of value, because the peripheral vision might turn out to be the biggest source of competitive advantage. 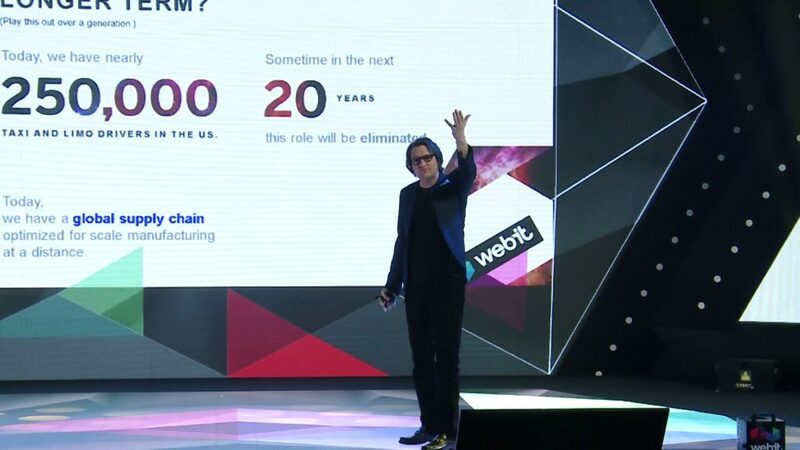 He predicts that over the next 20 to 40 years across all industries everything will be shifting to push the production and provision of products and services ever closer to the moment at which they are demanded. So the questions we should be asking ourselves are what value are we providing, can we produce and provide our products and services at the moment they are demanded and if not will we still be relevant in the next 20 years.